Wallingford and the surrounding countryside is one of the most desirable areas to live in Oxfordshire. Therefore it is no surprise that properties are very popular – and not just with residents. Estate agents are here in even greater numbers too. In fact, in a recent audit carried out by For Sale Sign Analysis Limited it was discovered that there were no less than 14, making the South Oxfordshire patch one of the most competitive areas in the country per head of population. So, who emerged from the crowd to take top spot? 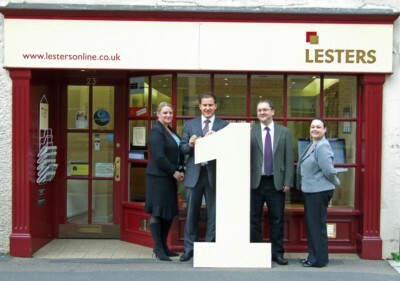 None other than local property specialists, Lesters Estate Agents. The findings by For Sale Sign Analysis Limited, an independent company who provide data to estate agents throughout the UK, was based on an accurate count of the ‘For Sale’ and ‘Sold’ signs in Wallingford and surrounding villages. The number of boards seen in an area is a major indicator of how successfully an estate agent is operating. It turns out that Lesters Estate Agents took 28.9% share of the Sold boards, which was nearly twice the number of the estate agent in second place. Interestingly Lesters had more SOLD boards than 10 of the 14 agents in the area combined. They say that facts speak for themselves, but they also say a lot about why a particular company is so successful. 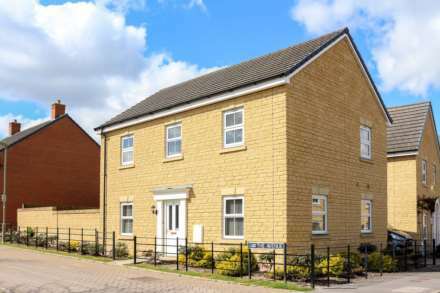 Lesters Estate Agents is a locally-run firm who have built up an unrivalled knowledge of the area. Unlike most estate agents they have concentrated on one area so that they really do know and understand the local property scene. They pride themselves on being client focused – and believe that being completely honest with sellers and buyers alike is appreciated. By delivering for their clients – as the amount of ‘Sold’ signs on local streets indicate – they gain a great deal of their business through referrals. And there is no more ringing endorsement than a referral. It’s difficult to escape the distinctive sale boards of Wallingford’s leading Independent estate agent. But then again, a Lester’s board is the sign of the times.